Luck of the Irish to you! Have a Happy St. Patrick’s Day — Add Shamrocks to your Garden! 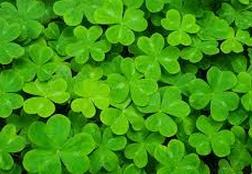 Ireland’s plant symbol is the Shamrock which was used by St. Patrick to explain the Christian Trinity. To commemorate St. Patrick (affectionately also known as St. Paddy), we have designated March 17th as St. Patrick’s Day. If anyone knows why we must wear green on St. Patrick’s Day or get pinched, please write in to let everyone know the origin of this strange tradition. Also, I am curious about how luck became associated with Shamrocks in the first place . . . Does it have anything to do with those little leprechauns? Putting tradition and folklore aside for the time being, I wanted to consider the actual Shamrock plant, a delicate and softly textured low growing ground cover that is appealing even without the luck and charm attributed to it that have contributed to making the little plant an endearing world phenomenon. The Shamrock’s genus is Oxalis which has about 500 species of annuals and perennials that are mainly from southern Africa and South America. Their 5-petaled flowers are cup- or bowl-shaped and open in sunshine. Oxalis are used to serve as ground cover, naturalize soil, adorn rock gardens, add lushness to landscape, retain moisture for taller plants, and decorate kitchens and bathrooms. 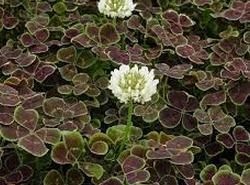 Many people prefer Shamrocks to other ground cover because they do not require mowing or much maintenance. They, however, need soil in the pH range between 4.0 to 5.0 in order to absorb nutrients from the ground. Add lime or sulfur to the soil beforehand to increase or lower the pH. Your local nursery can help you test the pH and give you tips on how to care for your Shamrock plants. You may also contact us for your Shamrocks and any of your other landscaping needs. Make this holiday extra special by sprinkling some Shamrocks into your life. Who knows? You may get lucky!